The Autism Collaboration, Accountability, Research, Education and Support (CARES) Act of 2014. Congressman Chris Smith (NJ-04), author of House of Representatives 4631 (HR 4631), The “Autism Collaboration, Accountability, Research, Education and Support Act of 2014 or Autism CARES Act, was pleased to have his legislation signed into law Aug. 7, 2014 to give families touched by autism spectrum disorders (ASD) hope for better opportunities in life. The law reauthorizes federal autism research and education programs for the next five years and begins to address the “aging-out” crisis. Through this law, PL-113-157, Congress assures individuals with autism and their families that they are not forgotten, and that we as a society are working to assist and empower them. In many ways, this law is about hope for parents and their children who have autism—hope for a brighter future with greater opportunities in life. The Autism CARES Act/HR 4631) authorizes $1.3 billion over five years to continue the critical pipeline of federal research dollars that are helping to unlock the mysteries of autism, find ways to prevent and mitigate its occurrence, and ensure that families have the tools they need to know what to do after a diagnosis. requires the Department of Health and Human Services (HHS) to report on best practices for transitioning adolescents with ASD from school to adulthood. will be supplemented by a report from the Government Accountability Office (GAO) on the services landscape for adults—which will include input from state and local governments, the private sector, and non-profits working with children and young adults on the autism spectrum. The reports will provide policymakers and the general public with an updated analysis of the demographics of autism, and address the needs of the autism community, including economic self-sufficiency, independent living, equal opportunity, and full participation in the workforce and society. spurs federal agencies to examine and anticipate needs for autistic adolescents who are aging out of their school based support systems. Each year tens of thousands of young people with autism enter adulthood, and their communities are not prepared to help meet their needs. People with autism spectrum disorder should be empowered to be as self-sufficient as possible so that they can not only find jobs, but so they can utilize the talents they possess to contribute to society. How Prevalent is Autism in America? About 1 in 68 children has been identified with ASD, according to the most recent estimates from the Center for Disease Control (CDC). In New Jersey, 1 in every 45 children has ASD, the highest rate in the study. $950 million for research grants at the National Institutes of Health (NIH) and the operations of the Interagency Autism Coordinating Committee (IACC). The Autism CARES Act enhances and maximizes coordination among agencies and ensures that taxpayers’ dollars are spent efficiently. The bill increases government accountability by requiring HHS to designate an individual charged with implementing IACC’s annual strategic plan, and to report to Congress on their progress. The Smith bill has 86 bipartisan cosponsors and the support of a large coalition of autism and disability advocate organizations. He worked with many groups such as Autism Speaks, the Autism Society, Autism NJ and others. Smith and Rep. Mike Doyle (D-PA), an original cosponsor of the measure, co-chair the bipartisan Coalition on Autism Research and Education (CARE). Both Smith and Doyle worked to secure passage of this bill in the House and Senate. Smith authored the original law, adopted in 2000, that created a comprehensive federal response to combat autism. The Autism Statistics, Surveillance, Research and Epidemiology (ASSURE) Act—which later became Title I of P.L. 106-310 —authorized grants and contracts for the collection, analysis, and reporting of data on autism and pervasive developmental disabilities, and established regional centers of excellence in autism surveillance and epidemiology. The origins of the law stem from nearly 17 years ago, when Bobbie and Billy Gallagher of Ocean County, N.J, parents of two small children with autism, visited Smith’s district office looking for help. The couple believed their town had a disproportionate number of students with autism and wanted action. 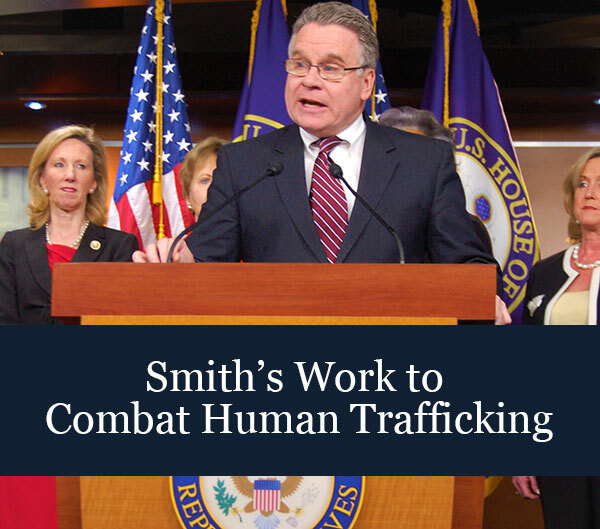 Smith petitioned the CDC and other federal agencies to investigate. CDC determined that autism rates had increased not just in the Gallagher’s area, but across the country. Soon after, Smith introduced the ASSURE Act, HR 274, to authorize grants and contracts for the collection, analysis, and reporting of data on autism and pervasive developmental disabilities. Smith’s ASSURE Act was enacted as Title 1 of the Children Health Act of 2000 and now forms the baseline of much of the federal work in autism today. Smith is also the author the Combating Autism Act of 2011. This Congress, Smith has also introduced HR 3054, the Global Autism Assistance Act of 2013, which establishes health and education grant programs to serve children with autism in developing countries, and recently held a hearing on how international industries are helping individuals on the spectrum achieve career success.